I first “met” writer Jim Alexander back in 2009 when he penned a tale for my 2012: FINAL PRAYER anthology called “Manchester” (drawn by Andy Dodd). It was one of my favorite tales in the collection – and DAMNATION, hasn’t 2012 arrived fast? 1) Let’s get to the introductions: Who is Jim Alexander and — like your protagonist in GOOD COP, BAD COP — do you too have an evil alter ego? 2) After writing for many years, you’ve opened up your own comic shingle called Black Hearted Press. What made you take the plunge? (JA:) BHP was in existence before I joined up, I have to say. 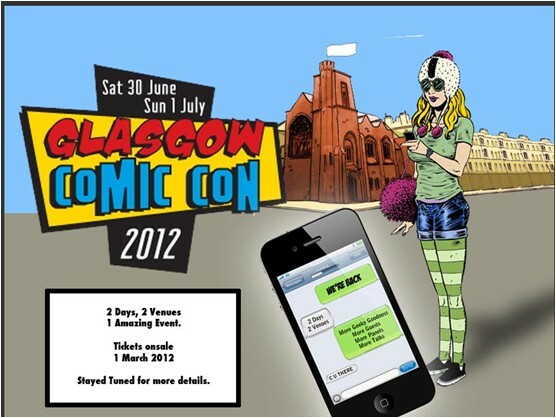 It was started by Dave Braysher, John Farman & Sha Nazir who, among other things, organize the Glasgow Comics Con (http://www.glasgowcomiccon.co.uk). We chatted; we imbibed, and in the midst of it discovered we had a lot in common, so they kindly invited me to join their merry band. From my point of view, well I’ve had a lot of stuff published, but never really had that breakout hit. There came the realization that I’m knocking on the same doors of editors and publishers again and again while not really having anything new to show them. BHP has given me the opportunity to get new stuff out there and show (hopefully) that I still have something to say. 3) How have you fared in the tumultuous economy which has hit many in the comics industry hard? (JA:) I work full-time and it’s a reasonably paid job. So that’s Job 1. Writing is very much Job 2, and it’s a common occurrence for Job 2 to go to Job 1 (during negotiations I wear different hats) and ask it to subsidize my latest writing venture. Job 1 is very understanding, I must say. But it’s scary out there, not just in terms of the comics industry — people are struggling to make ends meet. First piece of advice I give any prospective writer is to go get yourself a ‘proper’ job first. If you’re serious about writing, you will find the time. Having said that, if you can give someone something they can take value from then, yes, that makes it all worthwhile. There are still a helluva lot of possibilities out there. People are looking for stories that entertain and make an impact. This applies as much to the comics industry as anywhere else. 4) You’re building a pretty impressive library that has received positive plaudits from critics. Tell us about some of your notable titles. (JA:) For BHP, in addition to ‘GCBC’, I’m publishing ‘Gabriel’ and ‘Scout One’. I’m also hoping to reprint ‘Amongst the Stars’ published by Caliber a looong time ago, written by me and drawn by Mike Perkins (The Stand/X-Men). Very excited about all of these projects. I’ve also recently completed a short strip called ‘Eden’ for Dark Horse Presents. It’s drawn by John Higgins and it’s gorgeous. I’ve since worked on more ‘Eden’ strips. They are standalone stories wrapped around the theme of a world where technology still exists and, indeed flourishes, but people for various reasons are thin on the ground. 5) In addition to working for small indie press, you’ve also written for DC and Marvel. What comics did you write for and what was the experience like? (JA:) For DC, I’ve written for ‘Birds of Prey’, ‘Batman 80 Page Giant’ & ‘JLA Showcase’. In addition, I was a regular contributor to DC’s Cartoon Network books. If you’ve read a Johnny Bravo or Samurai Jack comic strip, then there’s a pretty good chance it was written by yours truly. 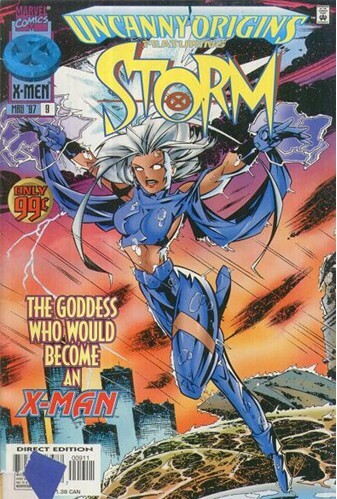 For Marvel, I’m probably best known for ‘Uncanny Origins’ (the Storm issue) and ‘Marvel Milestones’ (reprinting a Spider-Man/Captain Britain tome scripted originally for Marvel UK). As for the experience of writing established characters/super-heroes, I love and embrace it. For me it’s a collection of dreams come true. 6) Your most recent endeavor is GOOD COP, BAD CAP with a pretty imaginative twist. Tell our readers about the story premise. 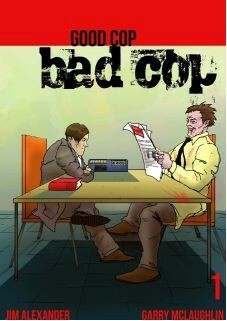 (JA:) ‘GoodCopBadCop’ is a modern take on Jekyll & Hyde, where the good cop and bad cop just happen to be the same person. That’s the sandbox I’m happily playing in. The first issue has three stories which build on the premise. 7) Interestingly, the super heroes from DC and Marvel all seem to have a dark side. Was that an inspiration for this series as well? (JA:) Internal conflict is something I think that fascinates all of us. I love super-hero comics, but I think I have a broad range of interests. I love watching Romero zombie movies and I love watching Generator Rex. ‘GoodCopBadCop’ is an amalgam of all my favorite influences and super-hero stories − Batman, Spider-Man, Hulk & Superman − but not exclusively so I think. (JA:) It’s in the first panel of the first strip. I saw a severed arm painted on a wall in a Glasgow side-street. That image stayed with me, wouldn’t go − and somehow, somewhere in the recesses of my mind came the idea for GoodCopBadCop. 9) When is your best time for writing? Where do you look to for creative ideas and inspiration? (JA:) I write when I can − it’s an infection, it’s in my blood. Sometimes I wonder what kind of person I would be if I didn’t write. Now that doesn’t bear thinking about. I get ideas and inspiration from everything. I have very broad tastes. If you were looking to pin me down, I would say I’m a member of a book club − every month we read a book then discuss it in a Glasgow pub called the Pot Still. To give you a flavor, the last few books have been ‘Old Man in the Sea’ by Hemmingway, ‘Naked Lunch’ by Burroughs and ‘The Spy Who Came in from the Cold’ by Le Carre. Those books are a great source of inspiration. And that’s another piece of advice I’d give to writers − when you’re not writing, watch great movies and shows like ‘Dexter’ on the box of course, but read as well. 10) How many issues do you envision the series to run? (JA:) I’m not sure. Plans are underway for issue 2. Issue 1 was great fun putting the idea out there, but I’ve since spent time working on a back-story. For ‘GCBC’ to have arms and legs it needs a much larger canvas to keep the reader − umm − reading basically. That’s now in place, so let’s get issue 2 out and see where we go from there. I can promise you; it will be the business! 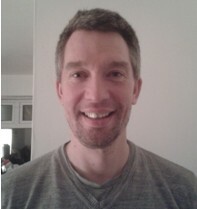 11) Tell us about your artist co-hort Garry McLaughlin. What made him the perfect choice for GOOD COP, BAD COP? (JA:) Truth be said, I don’t know Gary McLaughlin very well. And even less when last year I put the idea of ‘GCBC’ to him. 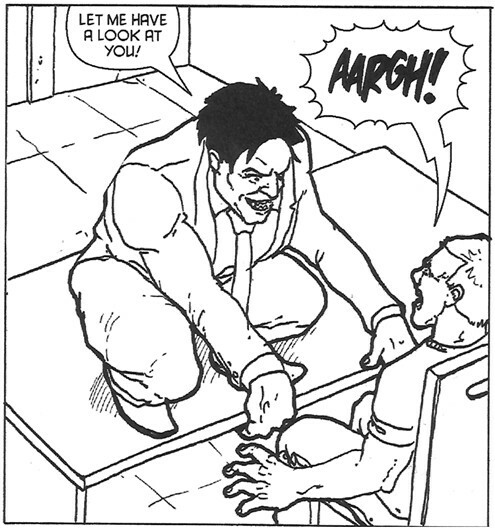 I was aware of his work on an indie comic called ‘Year of Fear’ and I could see he had real potential. I met him during a night out − bumped into him you could say − gave him a quick verbal pitch and before you could say ‘jim-bob-a-sandwich’ we were working together on the project. It just comes down to gut instinct basically. And the luck of having bumped into Garry at the right time, when the idea was buzzing and formulating in this febrile mind of mine. 12) Where can we buy the books? Will you be coming to the US anytime in 2012? Also on sale from Black Hearted Press: Gabriel #1-3 & Scout One #1. I’m hoping to attend NYCC in October; so – if all goes according to plan − I hope to see some of you then. Appreciate your time, Jim. Impressive work! 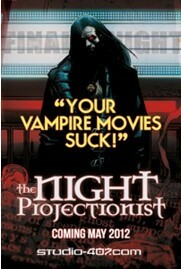 An award-winning indie comic creator and screenwriter, Bob Heske wrote THE NIGHT PROJECTIONIST. This graphic novel ships in May at a price point of only $12.99 and a Diamond code of MAR121187. Pre-order your copy at your local comic shop today! Bob has also published COLD BLOODED CHILLERS, the award-winning anthology BONE CHILLER and his end times tome 2012: FINAL PRAYER. His website is www.coldbloodedchillers.com. Very cool to learn of this man! Hope to see some of his work here in the U.S. soon!